6 Best Android file manager to access your files easily. Home Best or Top 6 Best Android file manager to access your files easily. 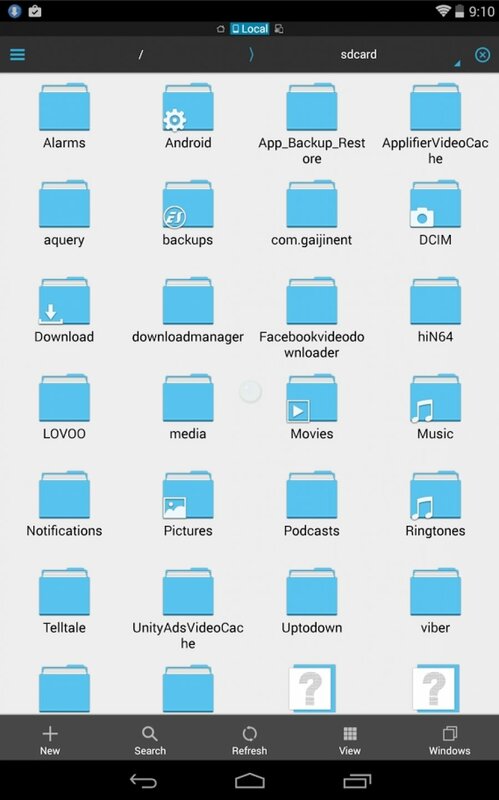 File managers are the most important applications of an Android smartphone because this is the only thing that iOS platform doesn’t have, and this app helps us a lot in searching files, manage storage space and move things from one folder to another. Here You will get a filtered list of best Android File Manager. If you are using stock Android on any Nexus on Motorola smartphone, you already know that file manager application is missing. But other Android Smartphones that comes with a custom skin has its pre-installed File Manager, but that inbuilt file manager is not so helpful as compared to the third party file managers. 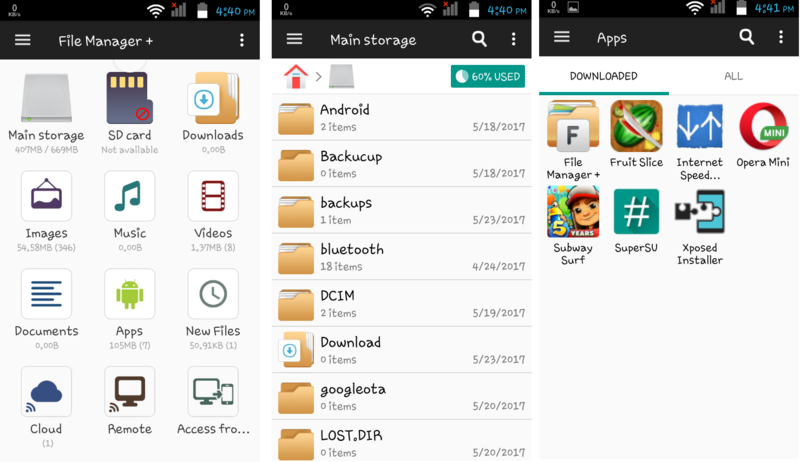 If you are confused into the best Android file manager, this list will help you to choose the best among all the file manager applications available in the Play Store. It is the best Android file manager we can find on the Google Play Store. It has many unique features which make it best. Its size is only 3.6MB, and it’s totally free of cost and adds free. 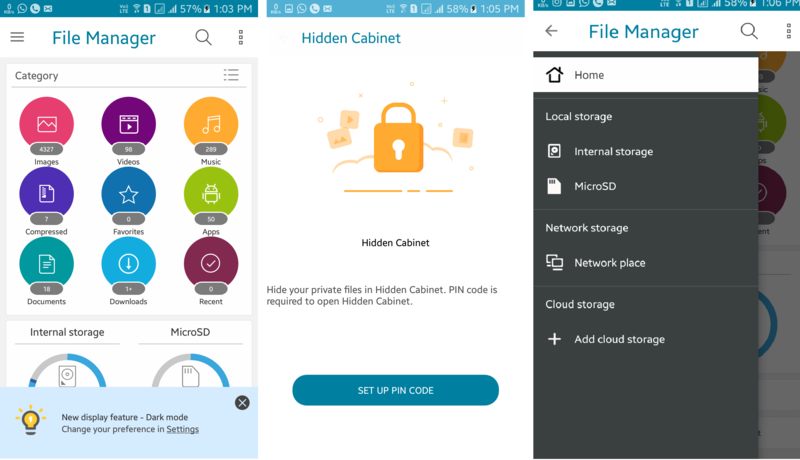 You can connect with your cloud storage too with the help of this application as it supports many cloud-based services like Dropbox, Google Drive, One Drive and Yandex. You can check your installed apps by this file manager, and it also had a Recycle bin support. You can check your space by its Storage Analysis feature which shows your folders with occupied space. It has the best rating on the Google Play Store of 4.7 and having 1 million downloads. 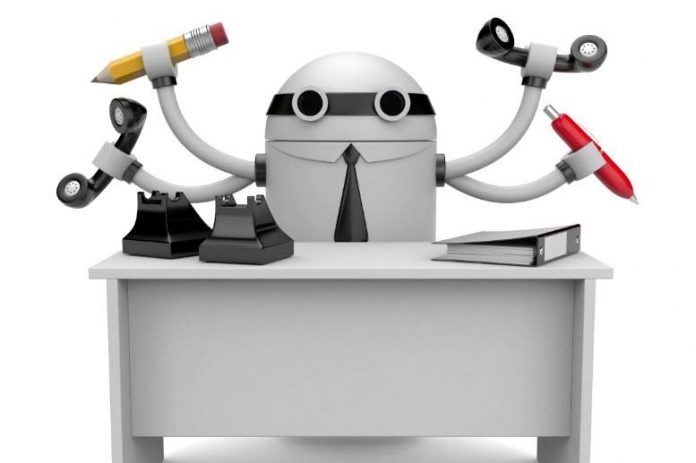 It can do all the things that we need from a File Manager like open, search, navigate, copy and paste, compress, decompress, download, organize, transfer, etc. It supports all the formats in music, video player, image format. It is the second file manager of Best Android File Manager list which has 4.7 ratings on Google Play Store and 100,000 downloads. It is the upgraded version of ES File Explorer. And it’s pro version you can have more things to customize, and it removes advertisements from your application and provides you more theme options. You can use for editing your system folders by the help of root access. It also has cloud management and supports Dropbox, Box.net, Sugarsync, Google Drive, Onedrive, Amazon S3, Yandex and many other cloud platforms. It also helps you to compress and decompress zip files, unpack RAR files, 7z file and create encrypted (AES 256) zip files. It also has its text viewers and editors and functions as an FTP and WebDAV client. It also helps in increasing memory and speed up your device by the aid of a simple widget on your home screen which shows your current RAM status and automatically kills tasks. It also has Cache Cleaner and Auto Start Manager which helps you to delete junk files and clear storage space. It comes in multiple languages like Japanese, Russian, Korean, English, French, Spanish, Italian, German, Hungarian, Tamil, Ukrainian, Catalan, Turkish, Portuguese and much more. It’s around 4.90MB in size. It is the third application of best Android file manager list. The first thing you notice after installing this application is the UI which is simple, light, smooth and minimalistic in design. It has an option by which you can see all your installed apps and backup it as an APK, share it with your friends too. You can change its design from settings, it also has Root Explorer, but for this, you need to give root permission. It has 4.6 ratings on the Google Play Store with 1,00,000 downloads. It supports 19 different languages and also helps compress and decompress. You can create shortcuts of folders directly to your home screen for easy access. 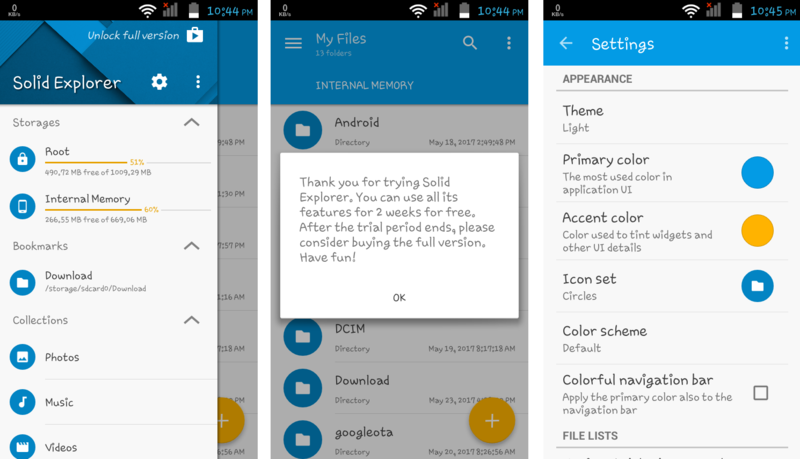 Let’s Move to fourth File Manager of our list of Best Android File Manager. Also Read: 9 Best Launcher for Android instead of a Stock ROM in 2017. This file manager also has the rating of 4.6 rating out of 5 stars and also had 1,00,000 downloads. It’s UI is simple and clean, but you can customize all the design of the app by going into settings, it has so many customizable settings. It also had keyboard shortcuts for a new folder, close window, copy, move, paste, select all and much more. You can open two Windows to view files. It can extract ZIP and RAR file and also compressed to ZIP format. It had a built-in gallery, text editor, music player and supported 20 languages. It contains in-app purchases and 2.92 MB in size. This application has 4.6 ratings in the Google Play Store and 1 million downloads. It is around 7.16MB. You can use this application for two weeks as a free trial, and after that, you need to pay to buy the full version. You can customize its user interface from settings as there are many options for the customization, like themes, icon sets, and color schemes and you can set a security key for the application. You can set up cloud connection from many cloud-based services like Google Drive, Dropbox, Onedrive, Yandex, Owncloud, Bix, Sugarsync, Mediafire, and WebDav. It also supports Root Explorer is your smartphone is Rooted. If your smartphone support fingerprint sensor you can use it to open encrypted files without the need to provide the password and the same applies for cloud storages which can be accessed with the fingerprint as well. You can create and extract most commonly used achieve formats like ZIP, RAR, and 7zip. It also has a built-in music player and image viewer. 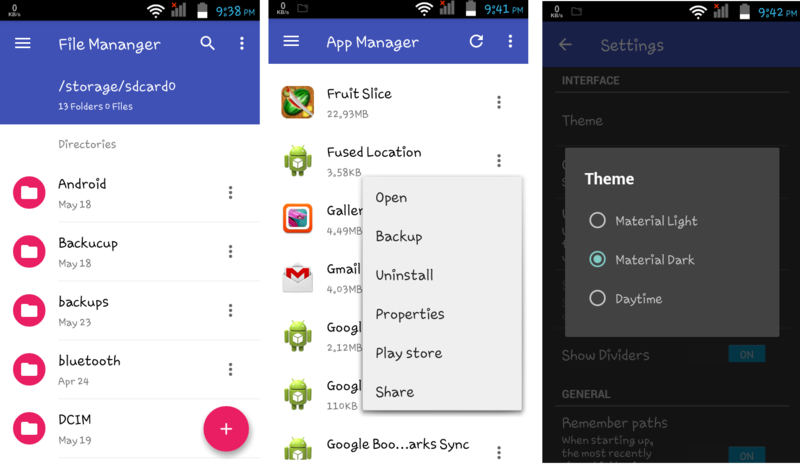 Means Many features which helps this manager to comes in this list of Best Android File Manager. In this file manager, you can your files by the category, in Google Play Store it has 4.6 ratings with 500 million downloads and it requires 13.6MB for downloading. You can create shortcuts of the folder directly to your home screen by long pressing on the folder in the category section. It also adds space analyzer, recycle bin and a Hidden Cabinet, where you can hide all your folders and files that you want to hide. It also supports cloud-based storage from different services like Dropbox, Google Drive, Onedrive, Asus WebStore & Local Area Network. you can do all the task like copy, move, delete, rename or share from this File Manager easily. It can also stream multimedia files such as music and videos are open documents, pictures, photos stored in any of your cloud storage accounts. You can save your disc space by compressing your files and later extract them in ZIP and RAR formats. It is completely free of cost, but the negative part of this File Manager is the lack of root access. 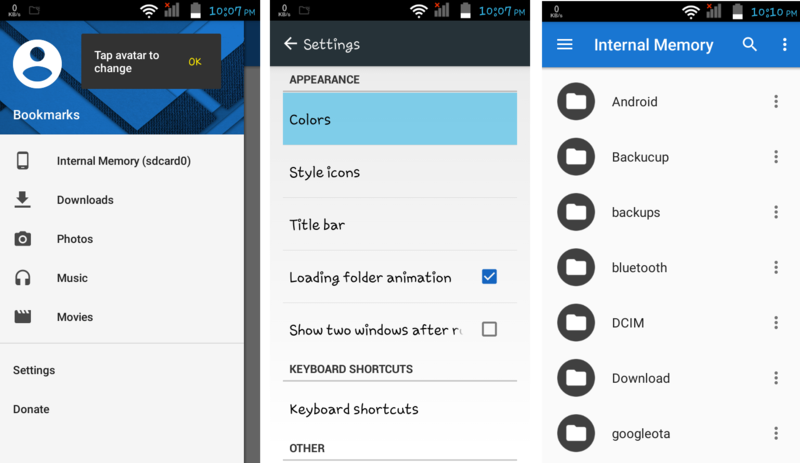 That’s all in this list of Best Android File Manager. If you really need a File manager then you can find easily from this list of Best Android File Manager. If you talk about me, I personally use ES File Explorer in my both Rooted and Non-rooted device. Have a Nice File Saving!! Previous article10+4 Best Xposed modules for pro Android users (2017). Next article4 ways to Mirror Android to PC and Mac like a pro in 2017.